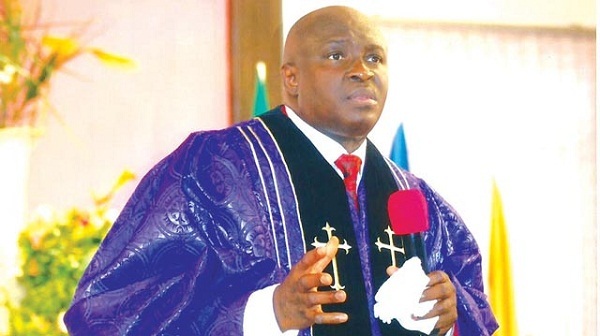 Our Daily Manna Devotional 25 May 2018 By Bishop Chris – FIRE VIGIL NIGHT: HE ANSWERS BY FIRE! TOPIC: FIRE VIGIL NIGHT: HE ANSWERS BY FIRE! Oh, thank God too that even in the English language, there is a DIFFERENCE between CAPITAL LETTER “D” for DEITY-JEHOVAH GOD, and smaller “d” for dieties-other gods/goddess! That means POWER PASS POWER! Remember that it was one man- Elijah against 450 prophets of baal. Yes! POWER PASS POWER! it does not matter how many forces, power and evil alters have risen or may arise against your DECORATION SEASON; tonight, THEY SHALL CATCH FIRE! Hear this: “Let them therefore give us two bullocks; and let them choose one bullock for themselves, and cut it in peices, and lay it on the wood, and put no fire under: and i will dress the other bullock, and lay it on wood, and put no fire under: and call ye on the name of your gods, and i will call on the name of the LORD: and the God that answereth by fire, let him be GOD.” Ah! THE GOD THAT ANSWERETH BY FIRE is the CAPITAL “D” for DEITY-JEHOVAHOVER-DO! READ Our Daily Manna 16 November 2018 - VIGIL DAY: I SHALL NOT LABOUR IN MY ENEMY’S VINEYARD! In your daily life, the battle line between the altar of JEHOVAHOVER-DO and the altars of BAAl (evil altars) is raging! That is why tonight, the battle line has been drawn against the ARROWS or ALTARS of your WICKED ENVIOUS ENEMIES, your father’s house, mother’s house, husband or wife’s house, against every altar in the sea and forest, against every altar off stone and blood and THEY SHALL BE WASTED BY THE GOD THAT ANSWERS BY FIRE! He is described as, THE CONSUMING FIRE (Heb 12:29)! But this: “And Elijah said unto all the people, come near unto me. And he repaired the altar of the Lord that was broken down” (1 kings 18:30). Tonight you must repair GOD’s altar in your heart FIRST-through repentance from sin and afirmity with any evil altar(s). as soon as Elijah repaired the altar and called on God this was the result: “THEN THE FIRE OF THE LORD FELL… and Elijah brought brought the down to the brook Kishon, and slew them there” (vs 38, 40). 2. Every spirit of EVIL ALTARS attacking my faith; CATCH FIRE NOW! 3. I see EVIL ALTARS SPEAKING DEMOTION to 12,819 ODM USERS! BOMB THEM NOW and pray seriously (12am). I decree: HOLY GHOST FIRE , BOMB AND CONSUME every altar manufacturing HERO to ZERO ARROWS and against myself or ANY ODM user worldwide TONIGHT in Jesus name. 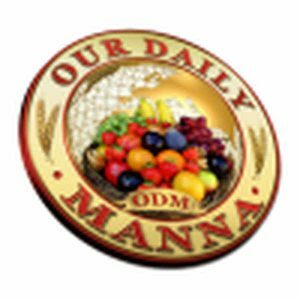 Next Post:Daily Manna Devotional Today 26 May 2018 – THE MISTAKE THAT MOULDED PROBLEM JOHNNY!